Today I bring you Belinda from www.fashioncrossing.blogspot.co.uk. I’m so happy she offered to guest post for me because I wasn’t aware of her blog beforehand and I loooove it! She has an amazing sense of style which I hope you appreciate as much as I do! So I did a little bit of shopping on Monday (not too much though as I’ve already spent a bit too much on my Christmas shopping) so I opted for the ‘comfy casual’ look and just threw on my super comfy mom jeans from Topshop. I’m definitely in love with these jeans and want more pairs! When I want to go for comfy footwear I always reach for my trusty creepers from New Look. I wasn’t a big fan of creepers when they first came about I must admit but they did grow on me eventually. I love the thick platform they have so it gives me a bit of height as well as comfort. 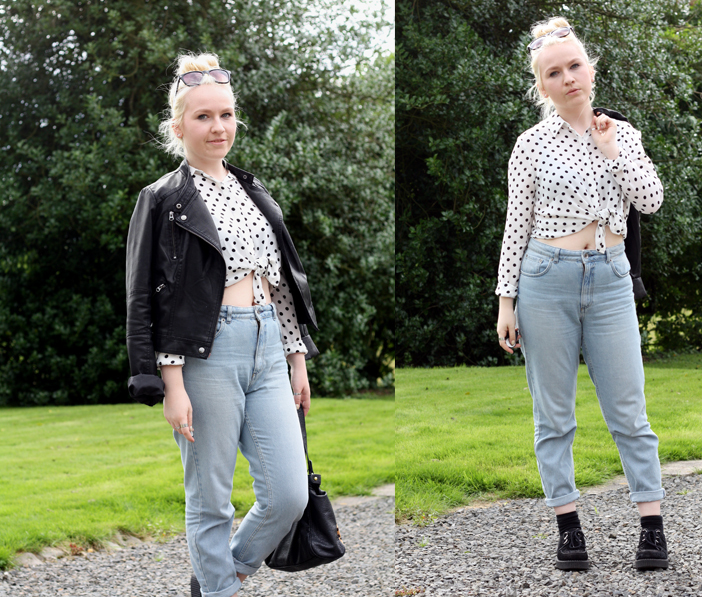 I adore this polka dot shirt which I bought from Forever21 back in March while I was up in Glasgow for a couple days. The quality is amazing and you could find an exact dupe of this in Topshop for £38 wheras this was a purse friendly price of £16! I had really gone off painting my nails for a good couple of months but I have rediscovered a nail polish in my stash which I got as a Christmas present. I love the quality of Essie nail polishes and the colour of this is just amazing. It makes your hands look expensive ha! Hope you enjoyed my guest post for Lucy Cole’s blog and you have an awesome week ahead! 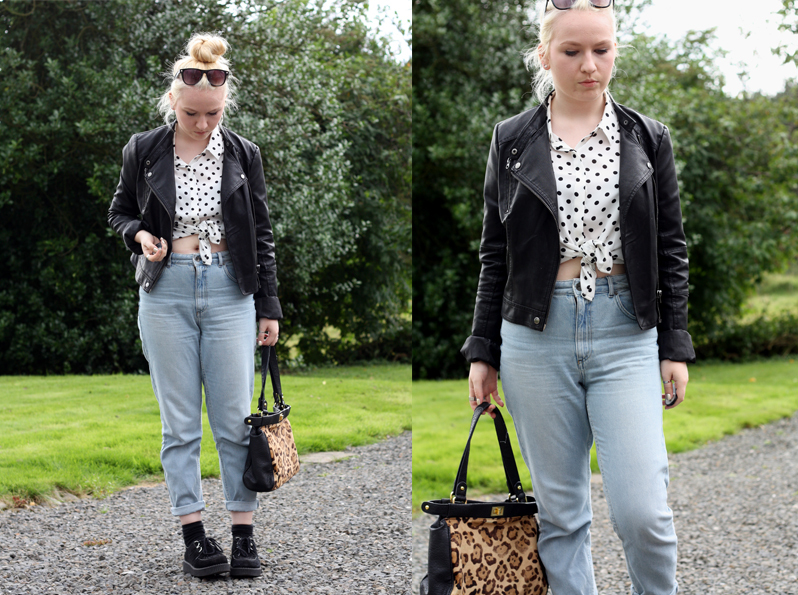 "OOTD – Guest Post Week – Day #3"
"Autumn Winter 2013/14 – Guest Post Week – Day #5"